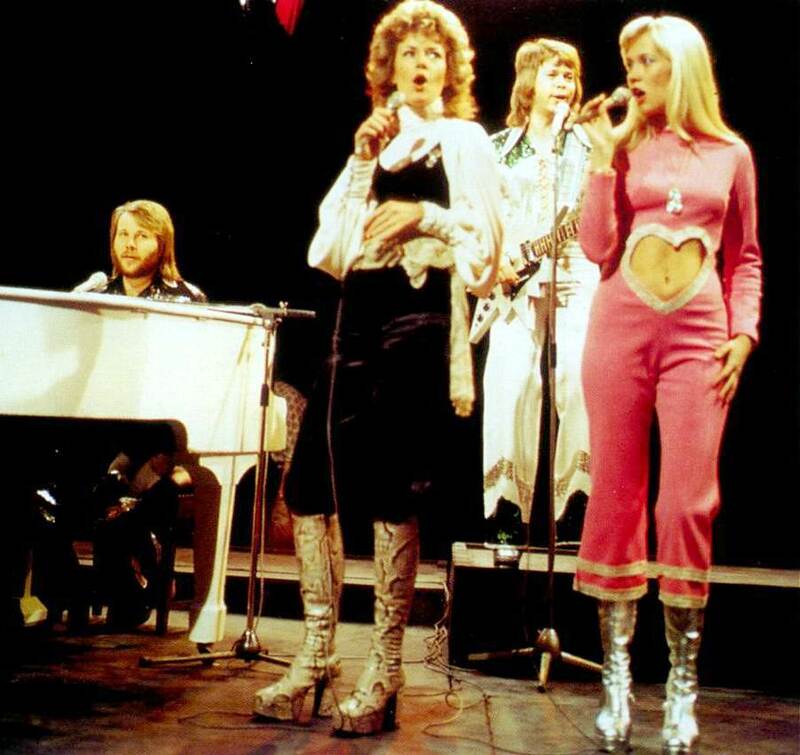 ABBA hit the number 1 spot in the UK nine times and had next to those another ten Top 10 hits. ABBA's first UK hit was Waterloo in the spring of 1974 but the next two singles were flops: Ring Ring (a remixed version with an added sax to make it sound more like Waterloo) and So Long. 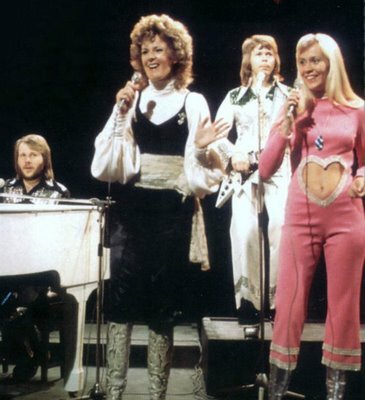 The band was seen as a one-hit-wonder like most Eurovision winners. 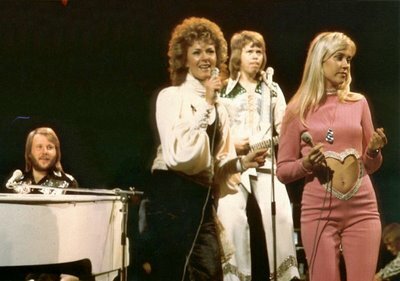 But I Do I Do I Do I Do I Do was a minor hit (number 38) and SOS took them back in the Top 10 at number 6: ABBA had arrived and proved their critics wrong! 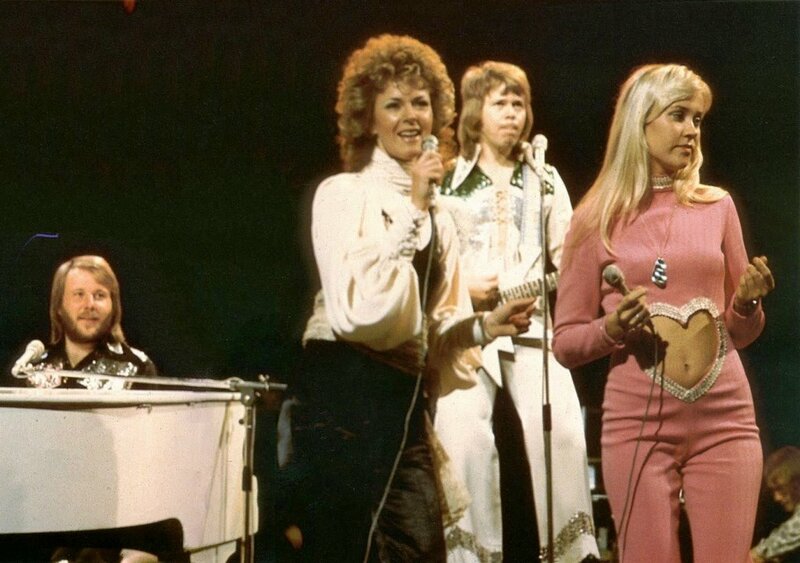 These pics show ABBA at the famous tv-show Top Of The Pops in the UK performing Waterloo live in 1974.